Press renders have done everything to convince us that there are three colors for the Galaxy S8 and Galaxy S8+ (Black Sky, Orchid Gray, and Arctic Silver), but Samsung isn’t done with the color teases just yet. A gold color option has now been revealed thanks to the work of renowned tipster Evan Blass (a.k.a @evleaks). Blass has posted a render showing Black Sky, Orchid Gray, and a new Gold color option together, leaving out the Arctic Silver option that has been appearing in press shots left and right over the last few weeks. 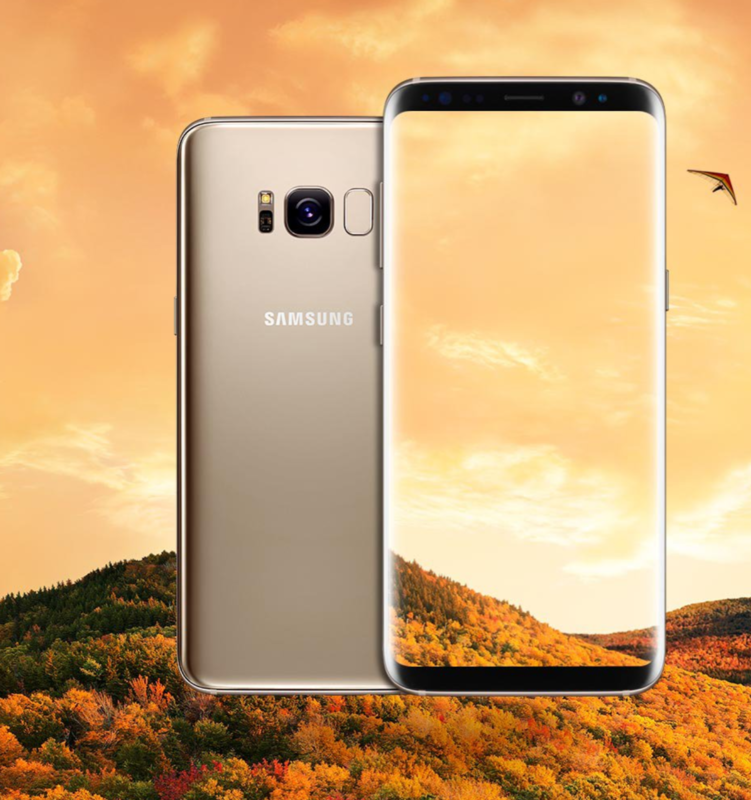 We don’t have an official name for this gold color option at this point, though it’s sure to surface as the countdown gives way to the Galaxy S8 and Galaxy S8+ unveil on March 29th. In recent days, the upcoming Galaxy has been spotted in what appears to be a Blue Coral color (though it’s been rather obscure in appearance as compared to, say, the Orchid Gray), and a new Purple Violet color will give a bit of splash to Samsung’s color lineup. There are now six colors that have been leaked for the Galaxy S8 and S8+, though, as is the usual case, one or more of these could be regional variants (the now-deceased Galaxy Note 7’s Gold option was international last year and didn’t appear in the US, for example). The Crimson Red Galaxy S8+ will remain a figment of our imagination for now, it seems. Of the colors we’ve seen, which is your favorite? If you have more than one, what are they? Want a color you haven’t seen yet? Colours and harmony with the pictures looks really nice IMO. I’ll probably end up with the black one… for me, it looks better when the whole phone is with the same color. I love the blue one, but it doesn’t have the black front so it was more than likely just a screen protector or maybe a prototype. Could be just plain fake too. The gold / black combination looks cool.